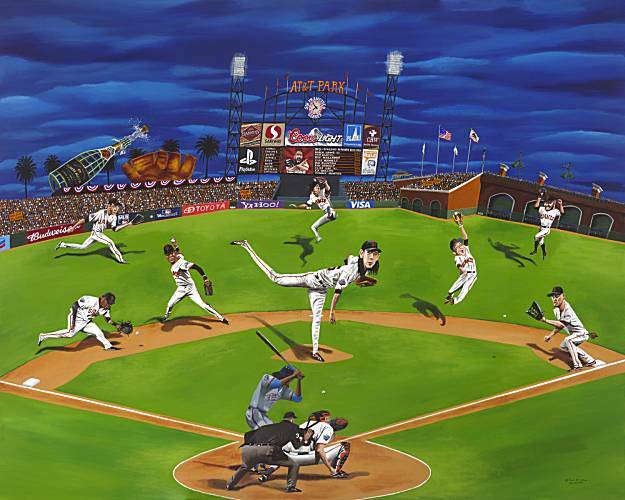 "Your 2010 World Champions San Francisco Giants" by artist Mark Ulriksen. This is Juice from Tales from the "Liberry" (http://liberry.blogspot.com). I wanted to write to tell you I've stuck my foot back into the "liberry" blogging game, but from the angle of a podcast. I've begun an audio adaptation of some of my favorite stories from my 5 year run on Tales from the "Liberry." As such, I'm reaching out to former colleagues in the library blogosphere to alert them to the podcast in the hope they might give it a listen and possibly help me promote it with a link. The first episode of Tales from the "LiberryCAST" has been posted at http://liberrycast.blogspot.com. I'd love it if you gave it a listen and hope you enjoy it.